BC Decker Inc, publisher of the acclaimed general surgical reference, ACS Surgery, is honored to announce the appointment of Stanley W. Ashley, MD, FACS as the new Editor-in-Chief. Dr. Ashley is the Frank Sawyer Professor and Vice Chairman of the Department of Surgery, and Program Director of the General Surgery Residency Program at Brigham and Women's Hospital/Harvard Medical School, Boston. He is also Chief of General Surgery for Harvard Vanguard Medical Associates. As the new Editor-in-Chief, Dr. Ashley brings his estimable experience in, and unique vision of, surgery to bear on ACS Surgery, an official publication of the American College of Surgeons. "The opportunity to adapt ACS Surgery to the evolving needs of surgical residents and practicing surgeons is extremely exciting to me," remarked Dr. Ashley. "Stan Ashley will be a wonderful new editor of ACS Surgery, who will build on the outstanding work Dr. Souba did in transitioning the original loose-leaf work into the modern era. Dr. Ashley will continue that trend by taking this excellent educational product to the next level," said ACS Executive Director Thomas R. Russell, MD, FACS. In addition to many exciting changes, Dr. Ashley envisions adding operative videos to the online home of ACS Surgery, http://www.acssurgery.com. He believes that these videos, teaching slide sets, and pod casts will enhance the educational experience for residents and practicing surgeons before entering the OR. He also would like the text to begin to integrate with the new general surgery residency curriculum being developed by the Surgical Committee on Resident Education (SCORE). He also hopes to expand the scope of the work by including chapters by a variety of experts with differing perspectives on general surgery and the subspecialties. Together with Decker, Dr Ashley will promulgate the effort to make ACS Surgery an internationally adopted surgical reference. Optimism for the new Editor-in-Chief is described succinctly by Brian Decker, President and Publisher: "We are persuaded that Dr. Ashley's stewardship will enhance the already remarkable success of ACS Surgery. The work draws its strength from its rich history, but its vitality stems from the fresh vision that Dr. Ashley brings to the enterprise. Since its first incarnation as Scientific American Surgery, this work has been the benchmark for innovation in surgical education. We expect the track record to be extended during the Ashley regime." Stanley W. Ashley is a graduate of Oberlin College and Cornell University Medical College. 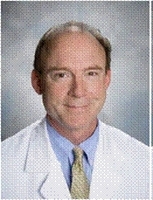 He completed a residency in general surgery at Washington University in St. Louis and subsequently joined the faculty. He spent seven years at UCLA before assuming his current position at Brigham and Women's Hospital/ Harvard Medical School in 1997. Dr. Ashley is a gastrointestinal surgeon whose primary interests are diseases of the pancreas and inflammatory bowel disease. His research, which has been funded by the VA the NIH, has examined the pathophysiology of small bowel and pancreas. An author of more than 200 journal articles, he serves on numerous editorial boards, including the Journal of Gastrointestinal Surgery, the Journal of the American College of Surgeons, and Current Problems in Surgery. He is a director of the American Board of Surgery and member of the Board of Trustees of the Society for Surgery of the Alimentary Tract. BC Decker Inc has published some of the most important works in medicine and surgery, including Cameron's Current Surgical Therapy, Cameron-Sandone's Atlas of Gastrointestinal Surgery, and Grillo's Surgery of the Trachea. Decker is respected for the quality of its titles and renowned for its authors. The company realizes half of its sales outside the United States through its relationships with the best international houses. Decker also publishes ACP Medicine, n`Scientific American Medicine, and 20 specialty journals in medicine and dentistry. Every Decker publication is available in print and digital formats. The company's publishing partners include American College of Surgeons, American Board of Surgery, American Board of Otolaryngology, American Academy of Otolaryngology, and the American College of Physicians. The American College of Surgeons is a scientific and educational organization of surgeons that was founded in 1913 to raise the standards of surgical practice and to improve the care of the surgical patient. The College is dedicated to the ethical and competent practice of surgery. Its achievements have significantly influenced the course of scientific surgery in America and have established it as an important advocate for all surgical patients. The College has more than 76,000 members and is the largest organization of surgeons in the world.